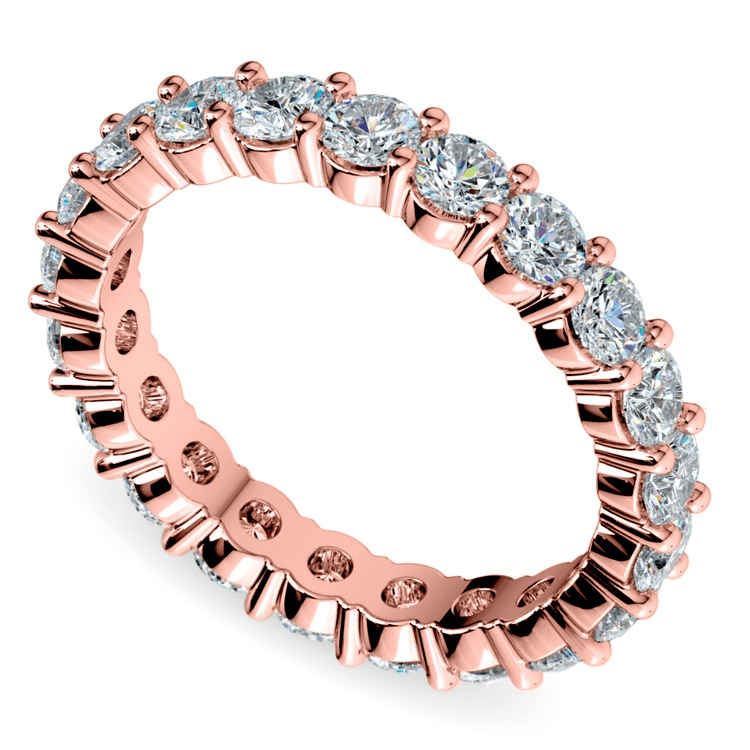 There’s no better way to celebrate your love than with a gorgeous eternity ring. 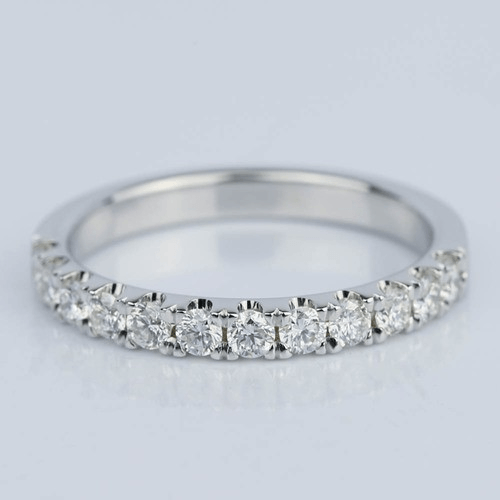 With sparkling diamonds encircling a precious metal band, an eternity ring is all the symbolism and commitment of an engagement ring and a wedding ring in one brilliant package. It’s traditional to give an eternity ring on the 50th wedding anniversary, but these days, it’s more about celebrating love for any world-changing occasion that demands it. That might be the birth of your first child together, or a major wedding anniversary, whether it’s your first or your tenth. It could be to celebrate renewing your vows, or just because you want to remind your better half that you love her and choose her every day. 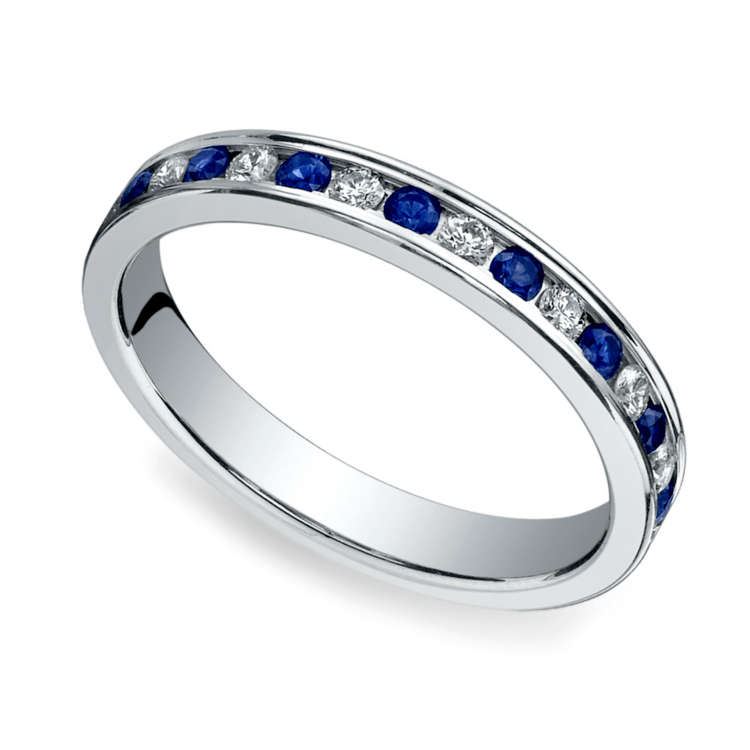 Regardless of why you decide to give an eternity ring, the next step is the same. It’s time to figure out the “how.” From budget to style, setting to stones, there are plenty of decisions to be made when you’re shopping for the perfect eternity ring. In a way, it’s like shopping for an engagement ring all over again! An eternity ring says “I would marry you again in a heartbeat,” so it makes sense to take a similar approach to the budget as you did for the engagement ring. That means spending, roughly, two months’ salary on the ring. That’s only a guideline, not a hard and fast rule. 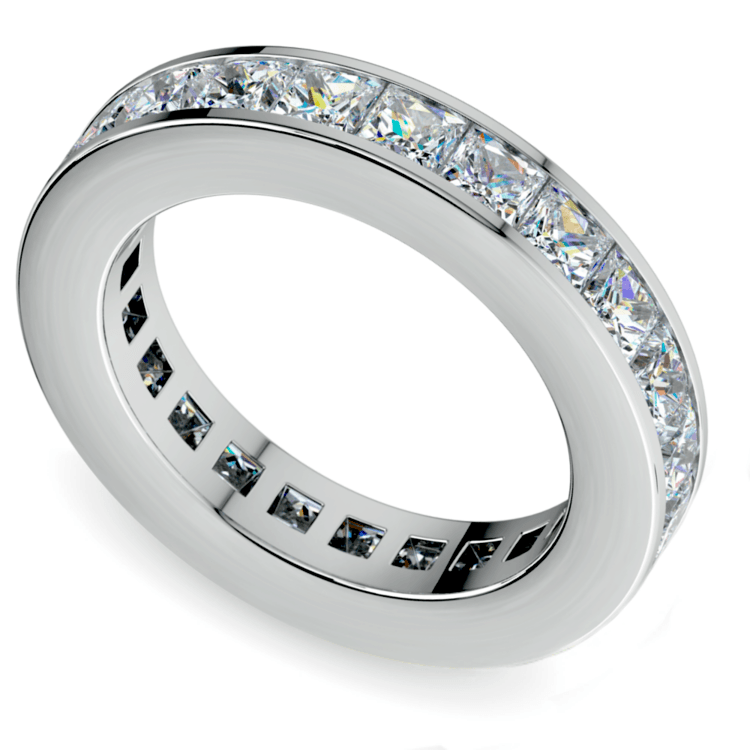 Of course, you want an eternity ring to last a lifetime; living up to its name. At the same time, be sure you’re not spending outside of your means. Consider setting a budget range, rather than an exact dollar amount. You could tell yourself you want to spend precisely $3,000, but it’s easier to aim to spend $2,000 to $4,000. That way, you’re open to many more options, and you’re more likely to find the perfect ring without stressing too hard over your budget. Full eternity rings are the classic style that everyone pictures, and there’s no denying that they’re absolutely gorgeous. Unfortunately, the very factors that make them so beautiful also makes them not very practical for everyday wear. A full line of bulky diamonds going across your finger restricts your range of motion and rubs against the adjacent finger. Your beloved might find herself taking off the ring halfway through the day, or only wearing it for special occasions. There’s also the problem of sizing. It’s rather easy to misjudge your loved one’s ring size and accidentally end up with a ring that’s a size too big. Or, changes in lifestyle can lead to fluctuations in your ring size over time. Either way, it’s super common to need a ring resized once or twice in a lifetime, and full eternity rings are not good at being resized. The diamonds are often so closely spaced that it’s nearly impossible to cut and reshape the band without affecting the integrity or appearance of the ring. For these reasons, more couples are opting for half eternity rings. A half eternity ring, much like it sounds, only has diamonds going across the top half of the ring. The bottom half of the band is just metal, making it more comfortable to wear and easy to resize. Of course, if you’re set on a full eternity ring, don’t be afraid to take the plunge, as long as you’re fine with it being a special-occasion ring. 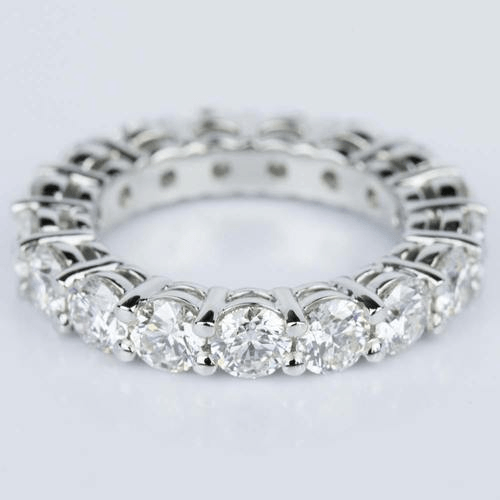 Full eternity rings are truly breathtaking, and a special addition to any woman’s jewelry collection. You can find eternity rings in nearly any precious metal choice, but the most common choices are gold and platinum. Gold comes in three main colors: yellow gold, rose gold, and white gold. Yellow gold is the most classic choice, not only for eternity rings, but also for wedding and engagement rings. Rose gold has a warm, pinkish tone to it that adds a romantic and contemporary feel to the setting. While white gold has a cool, silvery appreance that makes for a timeless choice . Generally, you want to pair warm metals with warm skin tones, and cool metals with cool skin tones. That means yellow gold or rose gold are perfect for skin tones that are more peachy or golden, and white gold or platinum look gorgeous against skin tones that lean more pink or red. 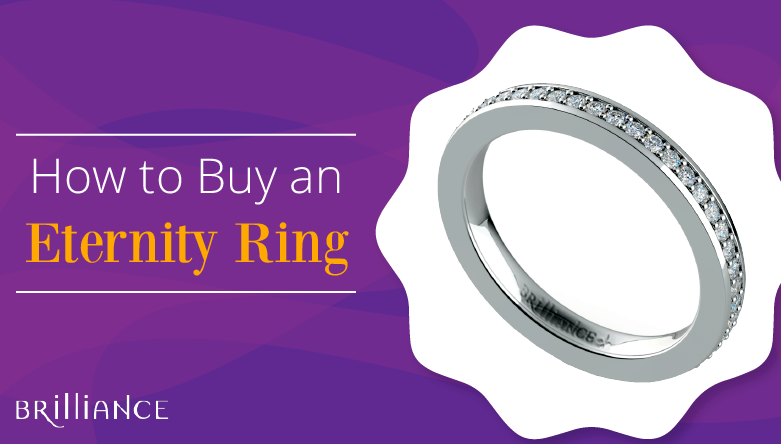 When shopping for an eternity ring, keep an eye out for the metal purity to get an idea of the quality you’re receiving. Platinum is almost always 90 or 95 percent platinum, meaning that you’re getting a very high quality, durable ring. In fact, platinum is known as one of the hardest metals on Earth! Gold, on the other hand, is always mixed with some amount of alloy, particularly white gold. For instance, 14 karat gold is 58.3 percent gold, while 18 karat gold is 75 percent gold. For strength and durability, you should always choose 14 karat gold. However, 18 karat offers a bolder color for both yellow and rose gold rings. Higher karat becomes too soft for everyday wear and is prone to scratches, while lower karat is poor quality. Traditional eternity rings feature round-cut diamonds, but that doesn’t mean you need to stick to tradition. A wide range of colored diamonds, gemstones and shapes are on the market, making it easy for you to choose a combination that best fits your relationship. Sapphires, rubies, and black diamonds are all stunning non traditional stone choices, but certainly not your only alternatives. From emerald to tanzanite, you can easily find the perfect colored stones that represent what matters to you, be it your wedding colors or your child’s birthstone. If you opt for diamonds, remember to pay attention to the 4Cs. Always be sure to read up on the 4Cs before you go shopping for diamonds. Knowing what you’re getting into helps ensure you make an educated decision as a buyer, and end up with the perfect ring for your loved one. As for stone shapes, change up the look of your ring by choosing oval, princess, or even radiant-cut stones for a dramatic impact. Round cut is the most popular because it has maximum light refraction properties, which makes it sparkle and dance in the light. Oval-cut stones are similar because they have the same number of facets as round-cut stones, but they tend to look larger and bolder because of their longer shape. Princess-cut stones are square with 90-degree corners, and they tend to hide blemishes well because of the way they are cut and polished. Radiant-cut stones are a hybrid of round cuts and emerald cuts, featuring an elongated rectangle with slightly cropped corners. That’s not nearly all of the potential cuts, but some cuts, such as hearts and pears, are less suited for an eternity ring and more suited for engagement rings. Now that you know the basics of how to shop for an eternity ring, you’re well on your way to picking the perfect keepsake for your beloved. From budget to style, metals to stones, every tiny aspect comes together to create a meaningful expression of your love, and Brilliance.com is here to help. If you need help choosing the right ring, we’re only a call away.